Full-range drivers have innovative helical voice coils for a more consistent sound field and enhanced clarity from all your recorded music. Compact design simplifies installation and fits the precut speaker holes on many boats. Helical voice coil driver (4.5") delivers natural, high-fidelity sound from a small marine speaker. 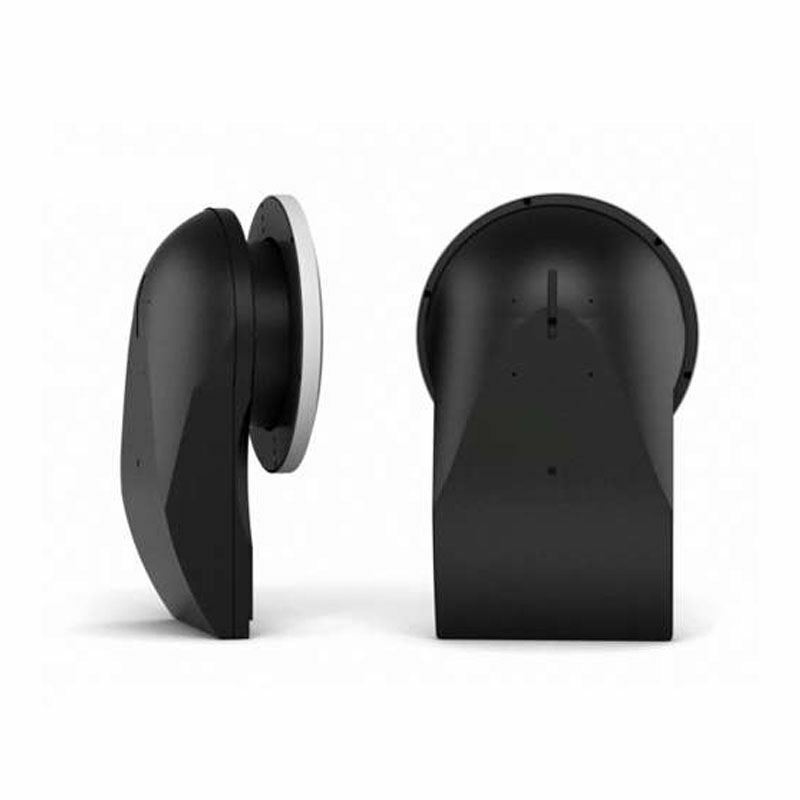 Silicon-coated surround for consistent sound quality regardless of weather conditions. High-impact polystyrene, polymer enclosure for years of listening pleasure with a greater level of durability. Ported enclosure design for rich lows from a small enclosure. Stainless steel hardware allows you to place these speakers in the rigors of a marine environment. 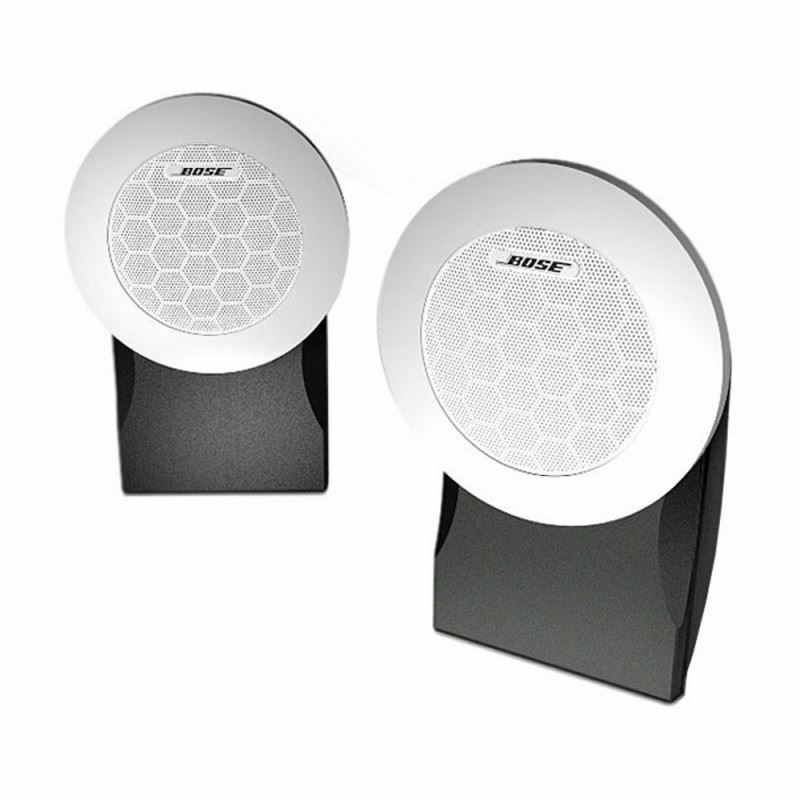 Bose® 131 marine speakers let you enjoy quality sound on your boat just as you do at home. Connect these flush-mounted boat speakers to your on-board stereo components and bring high-fidelity sound to the water, with greater clarity and consistency than you might expect from conventional marine stereo speakers. Designed to flush mount in the pre-cut speaker openings provided by many boat manufacturers, each Bose 131 marine audio speaker features a Bose full-range driver for high-fidelity sound, and a ported enclosure for smooth, consistent low-frequency response. Our proprietary drivers deliver a more consistent sound field than many conventional boat speakers, while the innovative ported enclosures compensate for the unpredictable mounting environments that can diminish performance. With Bose 131 marine stereo speakers, you enjoy clarity and full performance even afloat. Like all Bose weather resistant speakers, 131 marine speakers are thoroughly weather tested; they are guaranteed to withstand snow, rain, salt spray and extreme temperatures, and are covered by a three-year limited warranty. BOSS KATANA 50 Guitar AmplifierThe Katana Version 3 update enhances the stage-class Katana amp lineup with even more performance versatility. New effect types include the legendary Roland DC-30 Analog Chorus-Echo, classic BOSS GE-10 Graphic Equalizer, and expressive 95E pedal wah, providing iconic t..
Behringer ULTRATONE KXD15 600-Watt 4-Channel The Behringer KXD15 keyboard amplifier joins their popular Ultratone line, providing powerful sound and onboard effects at 600 watts. This versatile keyboard amp comes loaded with a 15" Turbosound speaker and a 1" high-frequency driver. A full 4-chan..
Mackie MR5mk3 5.25" Studio Monitor Music-centric voicing perfect for modern mixing, monitoring and multimedia applications Enhanced waveguide system delivers unmatched clarity and openness Minimized reflections and diffractions for wider sweet spot Seamless transition from high to low frequencies..